This is Zadie. She is camping. She does not appreciate potatoes on the ground. 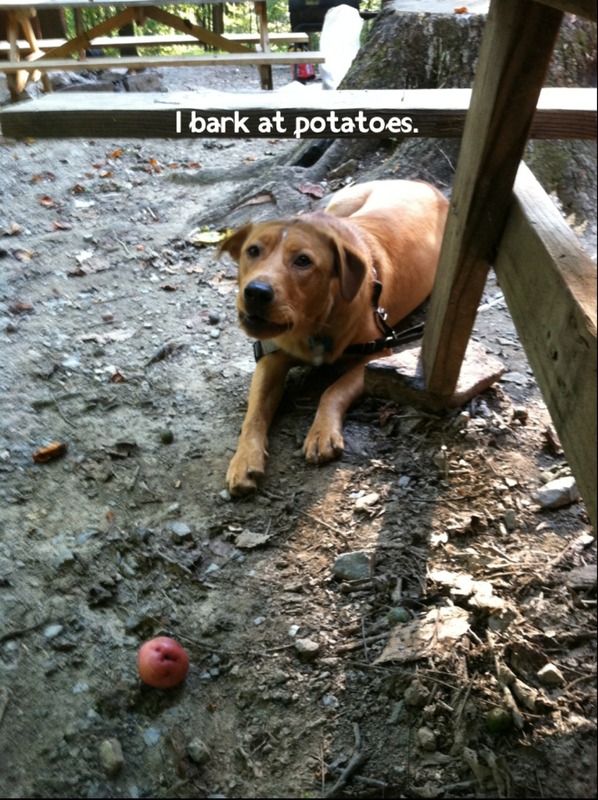 She also barked at an onion that fell on the floor. I suppose she just doesn’t like discarded produce. Posted November 3rd, 2012 .